At least 40 shops were gutted in a fire that broke out at Raiganj Bazar in Cumilla early Sunday, UNB reports. Alamgir Hossain, senior assistant station manager of Cumilla Fire Service and Civil Defence, said the fire broke out around 2:45am. On information, six firefighting units from Cumilla, Chandina, Sadar Dakhshin and EPZ stations rushed in and doused the fire after three-hour frantic efforts. The fire gutted at least 40 shops, he added. 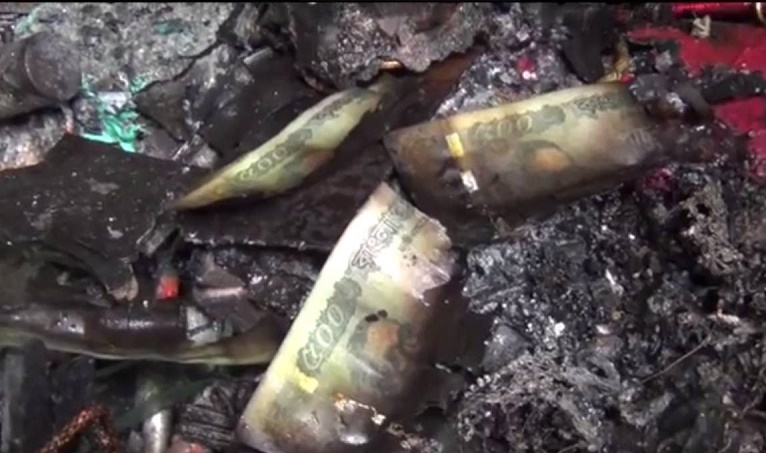 The owners of the gutted shops claimed that the extent of loss caused by the fire could go up to Tk 5 crore as they kept their cash inside their shops due to two-day bank holiday. However, the reason behind the fire could not be known immediately.